You know the Chicago region has great farmers. Come to the Farmer Talent Show on Friday, April 26 to see the less-well-known talents of some of our gifted producers. 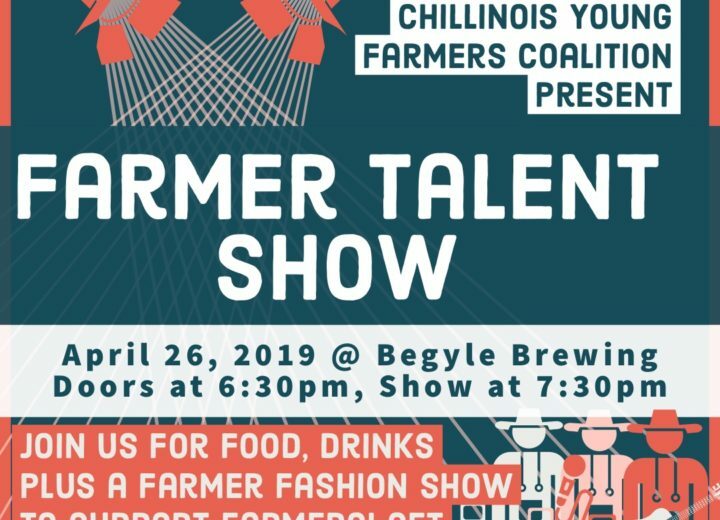 Presented by the Band of Farmers local farm coalition and the Chillinois (Chicago-Illinois) Young Farmers Coalition, the show will take place at Begyle, one of Chicago’s leading craft breweries, at 1800 West Cuyler in the Ravenswood neighborhood (near the Irving Park Brown Line stop). Tickets are $12 at the door; doors open at 6:30 p.m. We promise you will dig it!